It feels like forever has passed since Jeremy Clarkson’s fateful incident with Top Gear producer Oisin Tymon over a cold dinner at the end of filming. Clarkson was sacked, Hammond and May left, and suddenly Top Gear was without the presenters that made it so consistently popular. Fourteen months later and Chris Evans is at the helm of the new look Top Gear, assisted by Friends actor Matt LeBlanc. The title remains the same, the segments look to remain the same (such as star in a reasonably priced car) and the Stig remains – but how much will Chris Evans revamp the successful motoring franchise? And can it survive without the antics of Clarkson, Hammond and May? Here’s everything you need to know about the new series before it broadcasts in the UK in two weeks time. Top Gear airs on Sunday, May 29th on BBC Two. It will probably air at 9pm. Sixteen episodes are in the making, to be split across two series of the show. 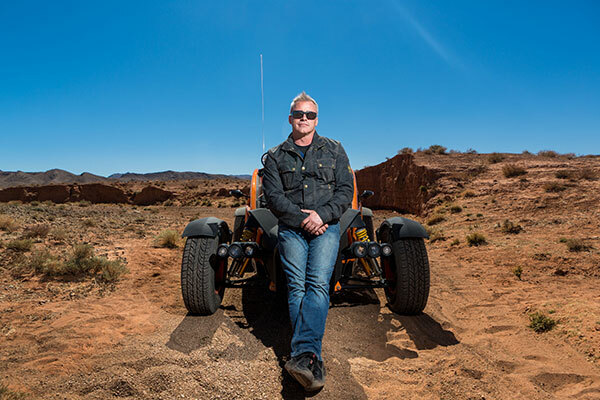 Chris Evans and Friends star Matt LeBlanc are the main names, with additional hosts including racing driver Sabine Schmitz, YouTube star Chris Harris, F1 pundit Eddie Jordan and motoring journalist Rory Reid. Where has Top Gear been spotted filming? California: Top Gear has been spotted filming in Monterey, California, where the infamous photos of Evans retching at the side of the road were taken (see controversies below). Ireland: Matt Le Blanc and Chris Evans have been spotted in a variety of locations around County Kerry, including Ladies View, Killarney Town, Kenmare, Gallarus GAA Pitch and Dingle Town. Evans was driving a Rolls Royce Corniche while LeBlanc was testing a Rolls Royce Dawn. England: Evans and LeBlanc were spotted filming scenes for the new series in Reliant Robins decorated with the flags of their native countries, in what will apparently be a race across England to Blackpool. Matt LeBlanc was also spotted in London for the controversial Cenotaph drag race, but this looks set to be cut from the series (see controversies below). 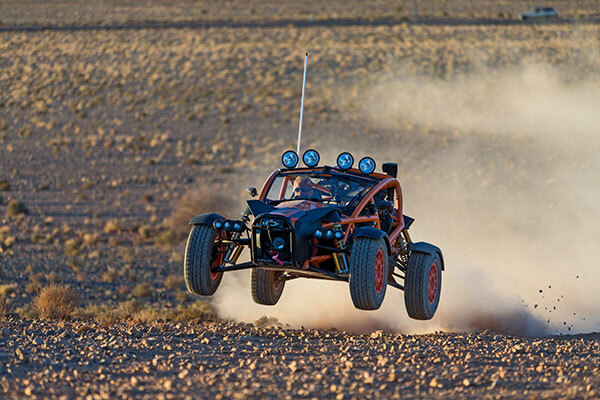 Morocco: In a teaser trailer for the new show, Matt LeBlanc is seen testing an off-road car in the deserts of Morocco. The Stig remains part of the BBC Top Gear and will be back for the new series, despite Stig’s new commitment to work with Dermot O’Leary on The Getaway Car. What controversies have befallen the series? Chris Evans has reportedly struggled with simultaneously driving and talking to the camera (the BBC denied this). It was later reported that Evans suffered from car sickness, after he was spotted retching at the side of a track during filming. In March, the new Top Gear team were blasted for disrespect towards war memorial the Cenotaph in London as they filmed drag racing in the area. In response to the backlash, Chris Evans promised the footage would not appear in the show, which consequently attracted criticism about wasted license fee money. 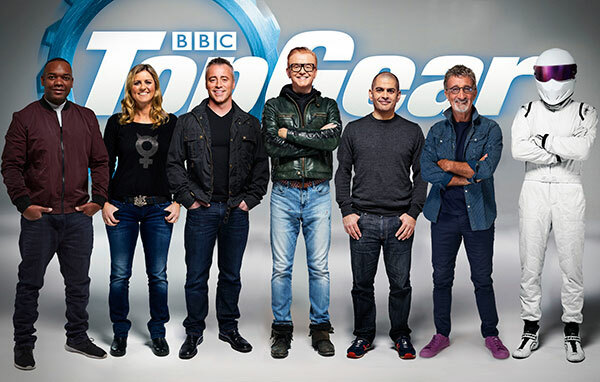 Top Gear has also experienced problems with holding down their production team. The executive producer personally selected by Chris Evans, Lisa Clark, left the show in December amid reports that Evans was a control freak (the BBC denied this too). Script editor Tom Ford left shortly after. In January, BBC Two controller Kim Shillinglaw also stepped down from her role, which included ensuring the new show was up to scratch. Top Gear airs on Sunday, May 29 on BBC Two.